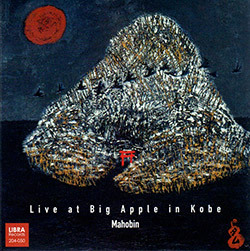 An intimate and unique collaboration between two far-ranging Japanese performers--Yoshino, also known for her work in Japanese underground rock, here on biwa (a short-necked fretted lute) and voice; and trumpeter Natsuki Tamura, Satoko Fujii collaborator and Gato Libre leader--presenting exotic narratives in song using instrumental intervention of ardent improvisation. 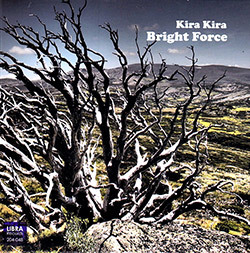 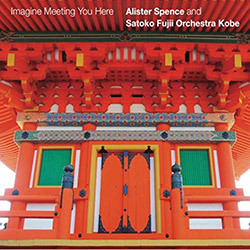 Australian composer Alister Spence wrote this in five parts composed for an improvising orchestra, which was first premiered in 2016 by Satoko Fujii's orchestras in Kobe, Nagoya and Tokyo, and the Glasgow Improvisers Orchestra; this recordings in 2017 at Big Apple Jazz Club in Kobe revisits the work with Fujii's Orchestra Kobe, conducted by the composer. 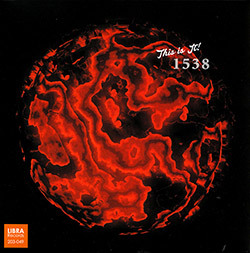 Part of pianist Satoko Fujii's "Kanreki" (60th Birthday) tour and monthly album release, the "This Is It!" 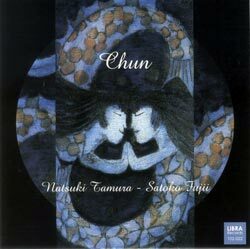 Trio with trumpeter Natsuki Tamura and drummer/percussionist Takashi Itani is heard at Koendori Classics, in Tokyo, Japan, in January 2018, for an incredible album of Fujii's compositions that include quirky asides in coherent and effusive playing. 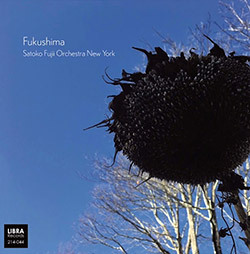 Since 2007 Japanese pianist Satoko Fujii and Australian keyboardist Alister Spence have collaborated on performance and recording in several configurations, including work with Tony Buck, Raymond McDonald, Jim O'Rourke, &c.; this energetic and otherworldly quartet session with trumpeter Natsuki Tamura and drummer Ittetsu Takemura was recored live Knuttel House, in Tokyo, 2017. 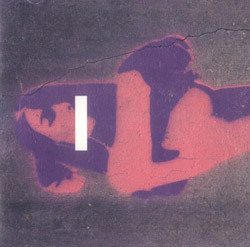 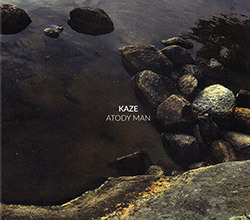 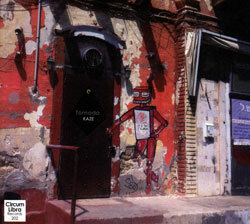 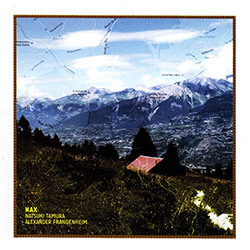 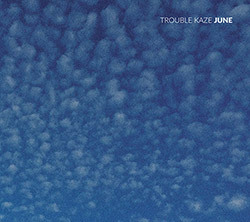 The fifth album from the French and Japanese quartet Kaze, initiated by drummer Pter Orins, with two trumpeters--Christian Pruvost and Natsuki Tamura--and pianist Satoko Fujii, all using extended and unusual techniques as they perform innovative compositions from Fujii, Orins, and Tamura with a balance of serious and playful approaches; brilliant. 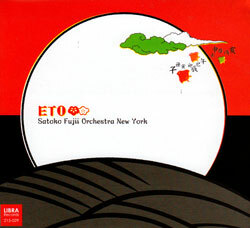 Presenting a different line-up from the 2001 debut of Japanese pianist Satoko Fujii's Quartet, remaining is trumpeter Natsuka Tamura, with Keisuke Ohta on violin and Takashi Itani on drums, performing evolving and rich collective improvisation with a strange edge, captured live at the Jazz Room Cortez in Mito, Japan in 2016 for two extended and bewitching sets. 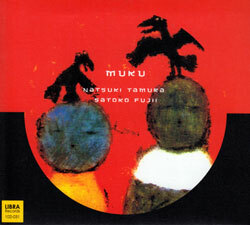 On their 5th album together, pianist Satoko Fujii and trumpeter Natsuki Tamura push the limits on approach and technique with their instruments, creating otherworldly and captivating improvisations, both players deciding against using "normal instrumental sounds", instead using preparations and textural approaches to create truly unique music. 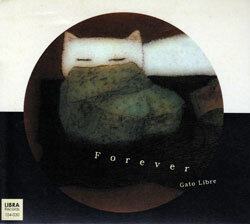 Trumpeter Natsuki Tamura's Gato Libre in its 5th album brings a beautiful light-through-the-leaves melodic melancholy to their unhurried pace, now the trio of Tamura, Satoko Fujii on accordion, and Yasuko Kaneko on trombone, as the cats on the cover stop to find allure in the late day while bringing profound and introspective music to our ears. 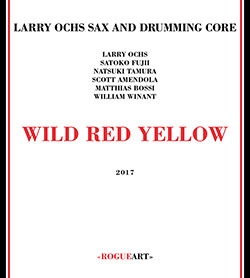 Rova leader Larry Ochs takes his Sax and Drumming Core to the next level with this charged album of mind-bending free improvisation with an hallucinatory edge, joined by Libra artists Satoko Fujii on piano & synth and Natsuki Tamura on trumpet, with Scott Amendola on drums, William Winant and Matthias Bossi on a wild set of percussive instruments. 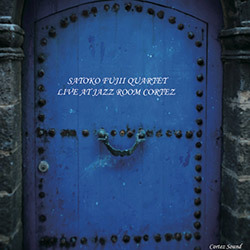 Drummer Peter Orins expands the Kaze quartet of trumpeters Natsuki Tamura and Christian Pruvost and pianist Satoko Fujii, with a second drummmer--Didier Lasserre--and a second pianist--Sophie Agnel--for a live recording of a 5-part suite of magnificently epic collective improv. 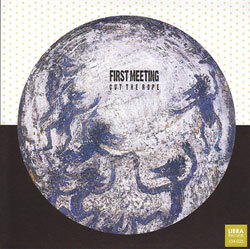 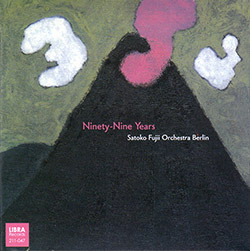 Natsuki Tamura & Christian Pruvost on trumpets, Satoko Fuji on piano and Peter Orins on drums for a quartet where all members are active compositional contributors, creating a powerful ensemble sound with strong soloing using modern creative techniques; excellent! 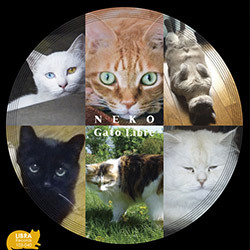 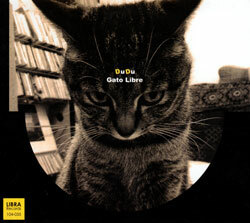 The first Gato Libre release since the passing of bassist Norikatsu Koreyasu, adding trombonist Yasuko Kaneko alongside leader Natsuki Tamura on trumpet, Satoko Fujii on accordion, and Kazuhiko Tsumura on guitar, for eight beautiful, melodic "free cat" recordings. 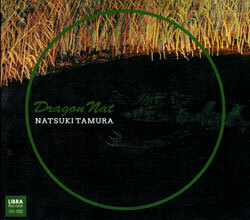 Using Gato Libre's music as the direction for his first solo album since 2004, trumpeter Natsuki Tamura releases an album of powerful and personal playing with a surreal flow of ideas, impish humor, and restrained joy. 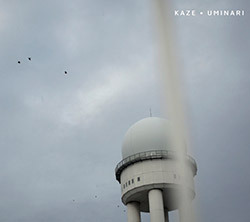 With two trumpets, drums and piano, Kaze's 2nd release with Satoko Fujii, Natsuki Tamura, and Muzzix members Christian Pruvost and Peter Orins, hits like the album title, but surprises with contrasts from torrential power to beautiful melodic interplay. 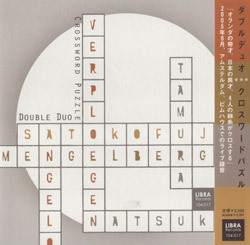 Trumpeter Tamura and pianist Fujii return to the duo they've been recording for more than 15 years to explore a more quiet and lyrical side of their collaboration by reimagining compositions originally written for Tamura's Gato Libre quartet. 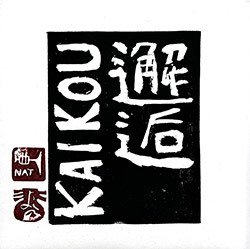 The 5th release from the Japanese quartet of trumpeter Natsuki Tamura, Satoko Fujii, here on accordian, the late bassist Norikatsu Koreyasu, and guitarist Kazuhiko Tsumura, beautiful free form improvisation performed live in concert in 2011. 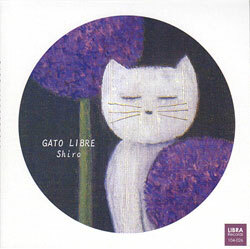 Trumpeter Natsuki Tamura and Satoko Fujii on accordion with guitarist Kazuhiko Tsumura and bassist Nirkatsu Koreyasu in their 2nd Gato Libre release, sophisticated, upbeat, melodic jazz. 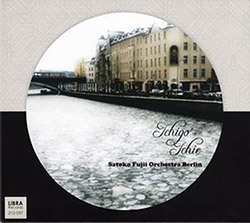 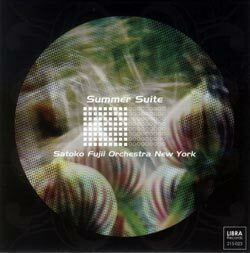 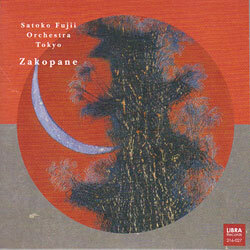 Pianist-composer Satoko Fujii's Orchestra Tokyo formed in 1999 to perform her compositions, music that spans a wide range of styles and moods, complemented by a great set of soloists. 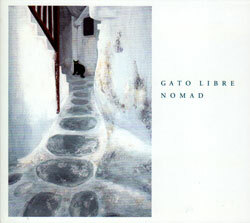 Trumpeter Natsuki Tamura & bassist Norikatsu Koreyasu's Gato Libre with Satoko Fujii on accordion and guitarist Kazuhiko Tsumara, in their 4th release, beautifully melodic improvisation. 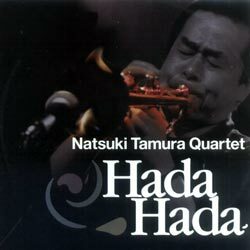 Trumpeter Tamura in an album of improvisational fragmentation, textural and timbral explorations, and rapid-fire juxtapositions that create kaleidoscopic sound collages. 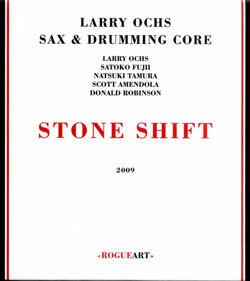 Larry Ochs Sax & Drum Core with Satoko Fujii & Natsuki Tamura and the dual drummers of Scott Amendola and Donald Robinson performing live at Teatro Fondamente Nuovo in Italy. 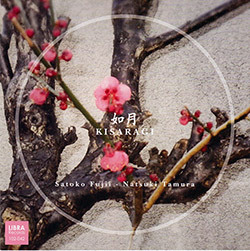 Intricately melodic and wonderfully ecstatic duos from trumpeter Natsuki Tamura and pianist Satoko Fujii improvising on 9 Fujii compositions. 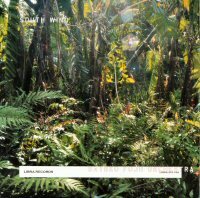 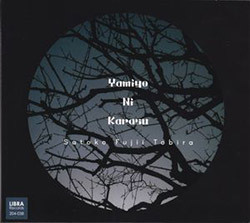 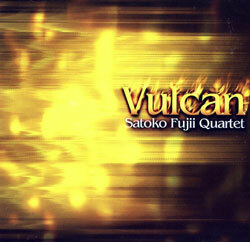 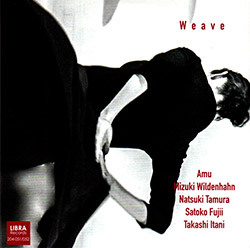 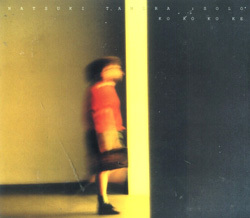 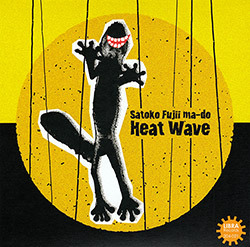 Satako Fujii's 2008 release introducing her then new ma-do quartet of Satoko Fujii on piano, Natsuki Tamura on trumpet, Akira Horikoshi on drums, and late bassist Norikatsu Koreyasu, the band name signifying "window" and "the silence between notes", in an album of superb, lively, eclectic and absolutely exciting improvisation from 9 original Fujii compositions. 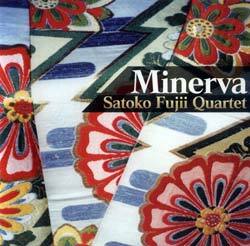 Thunderous and intense free improvisation from Natsuki Tamurao's Quartet with Satoko Fujii playing sythesizer. 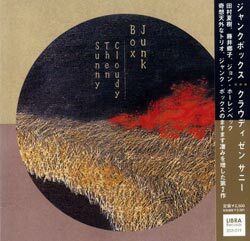 2003 release, first time in stock at Squidco. 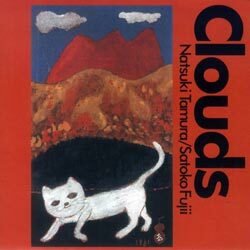 With each track named after a type of cloud, Satoko Fujii and partner Natsuki Tamura's delicate and engaging impressionistic colors and rumblings. 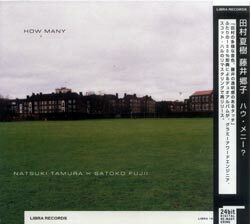 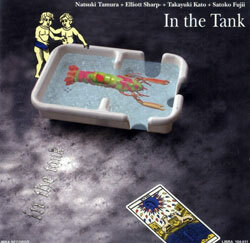 Tamura, Natsuki / Satoko Fujii : How Many?